Nutmeg (Myristica fragrans) is a spice that is commonly used in baked goods, holiday treats, ethnic cuisine, and beverages. 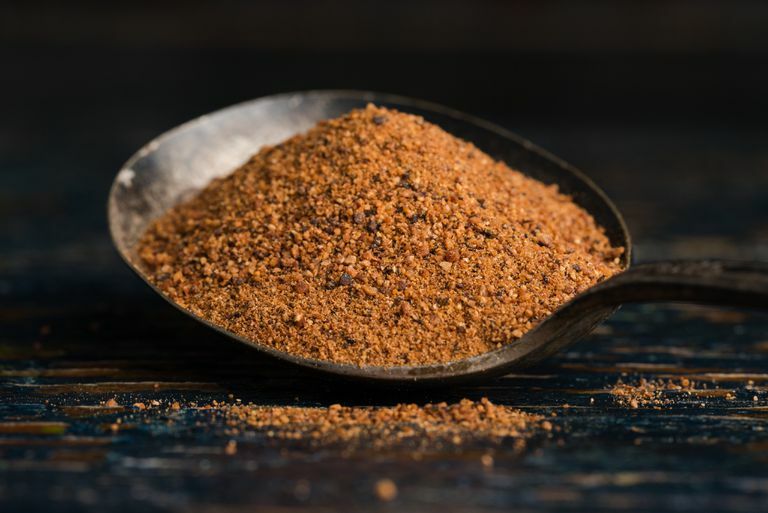 The spice is produced by grinding nutmeg seeds that come from a flowering plant of the Myristicaceae family (sometimes called the nutmeg family)—native to Africa, Asia, and the Pacific Islands. The spice has a sweet taste and is often paired with other sweet spices including cinnamon, clove, and allspice. While nutmeg is commonly used in cooking and baking, some also use the spice or its essential oil to gain a nutmeg high. Using the ingredient in this way can have serious side effects. In addition to its use as a flavoring spice in Asian, European, Middle Eastern, and African cuisines and traditional American baked goods, nutmeg has a history of medicinal use. Some sources credit nutmeg with having an effect on the nervous system and the imagination, even going as far as to say that nutmeg essential oil can have a hypnotic or hallucinogenic effect. In fact, there are published reports of nutmeg being used as a psychotropic drug with harmful consequences. There is also a long history of using nutmeg to relieve chronic pain. Rat studies have suggested that nutmeg oil may have potential as a chronic pain reliever, but research in humans is lacking. The safety and effectiveness of using nutmeg in humans for any of these health benefits have not been confirmed. One serving (approximately 1 teaspoon or 2.2 grams) of ground nutmeg provides approximately 12 calories, according to USDA data. Calories come from carbohydrate (1.08 grams), protein (0.13 grams), and fat (0.8 grams). Nutmeg also provides a small amount of vitamin A, folate, choline, and vitamin C, but not in amounts that will impact your daily recommended intake of those vitamins. Minerals in nutmeg include calcium (3.7 mg), phosphorus (4.3 mg), magnesium (3.7 mg), potassium (7.0 mg), and small amounts of sodium and manganese. Nutmeg can be purchased in whole or ground form. The ground spice is commonly found in almost every grocery store. If you choose to purchase whole nutmeg seeds to grind yourself, you may need to visit a specialty market or purchase it online. Ground nutmeg is known to lose its flavor quickly. For that reason, some cooks choose to buy it whole. Whole nutmegs seeds stay fresh indefinitely, so you can simply grind what you need and save the rest for later. Nutmeg can be used to flavor sweet baked goods such as apple pie, cookies, and other treats. But the spice is also used to flavor meats (such as lamb) or starchy vegetables. Nutmeg is also sometimes used in warm cocktails and coffee drinks. According to the Natural Medicines Comprehensive Database, nutmeg is probably safe when consumed in amounts typically found in food. But overuse of nutmeg may be risky. There are reports of nutmeg poisoning dating back to the early 1900s. Researchers write that the toxic effects of nutmeg are due to the presence of myristicin oil, a natural organic compound found in the spice. According to one published report, nutmeg poisoning is rare but probably underreported and should be considered in recreational substance users with acute psychotic symptoms as well as central nervous system symptoms. Additionally, the Natural Medicines Comprehensive Database advises that long-term use of nutmeg in doses of 120 mg or more daily has been linked to hallucinations and other mental side effects. "People who have taken larger doses of nutmeg have experienced nausea, dry mouth, dizziness, irregular heartbeat, agitation, and hallucinations. Other serious side effects have included death." What is the best nutmeg substitute? What is a nutmeg nut? A nutmeg nut is the same as a nutmeg seed. The seeds have a shape/look that more closely resembles a nut, so some people use the term "nut" to describe them. But technically, they are dried seeds. Cardamom. Professional Monograph and Patient Handout. Natural Medicines Database. 08/14/2018 . Williams EY, West F. The use of nutmeg as a psychotropic drug. Report of two cases. J Natl Med Assoc. 1968;60(4):289-90. Cushny AR. Nutmeg Poisoning. Proc R Soc Med. 1908;1(Ther Pharmacol Sect):39-44. Demetriades, A. K. (2005). Low cost, high risk: accidental nutmeg intoxication. Emergency Medicine Journal, 22(3), 223–225. DOI: 10.1136/emj.2002.004168. Zhang, W. K., Tao, S.-S., Li, T.-T., Li, Y.-S., Li, X.-J., Tang, H.-B., … Wan, C.-J. (2016). Nutmeg oil alleviates chronic inflammatory pain through inhibition of COX-2 expression and substance P release in vivo. Food & Nutrition Research, 60(1), 30849. DOI: 10.3402/fnr.v60.30849. Ehrenpreis JE, Deslauriers C, Lank P, Armstrong PK, Leikin JB. Nutmeg poisonings: a retrospective review of 10 years experience from the Illinois Poison Center, 2001-2011. J Med Toxicol. 2014;10(2):148-51. DOI: 10.1007/s13181-013-0379-7.